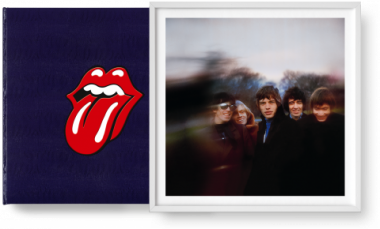 Compiling the definitive, authorized, illustrated history of the world’s greatest rock’n’roll band isn’t just an epic creative enterprise. It’s also a mammoth logistical feat. 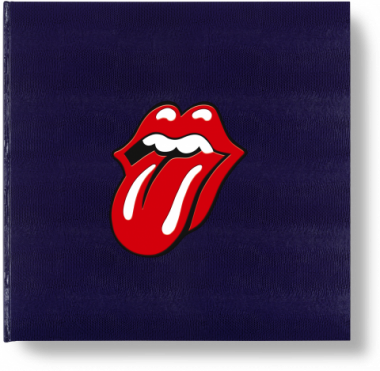 The greatest challenge was the element that will be most cherished by any Rolling Stones fan: the signature page for the limited edition. We produced thirty special aluminum cases to transport the signing pages to each of the band members. That’s four ultra high profile, endlessly globetrotting stars, each with different residences and offices around the world. So these precious pages traveled from location to location until each and every one was signed by Mick, Keith, Charlie, and Ronnie. It proved quite the trip, covering thousands of miles across three continents. 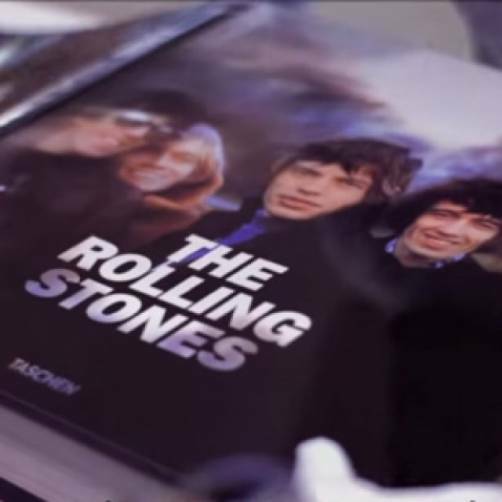 Some signing pages joined The Stones on tour through Europe and the United States. At one point a few hundred pages were inexplicably held over by Norwegian customs. 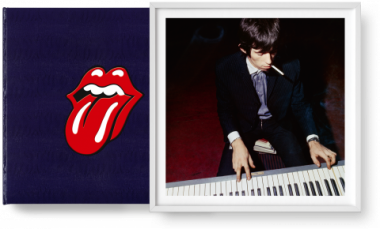 In total, it took three years and two round-the-world trips for each aluminum case to get all 1,600 signing pages the mark of approval from Ronnie, Mick, Keith and Charlie. Once complete, the pages voyaged by special transport to our binder in Italy. Carefully unloaded, they are then stored in a security vault to rival fort knox until the final, historic books are bound, printed, and ready for shipment. 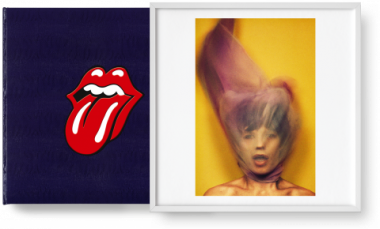 An odyssey of a journey, but what a rock’n’roll destination: the ultimate endorsement to The Stones’ official photographic record. Satisfaction guaranteed!